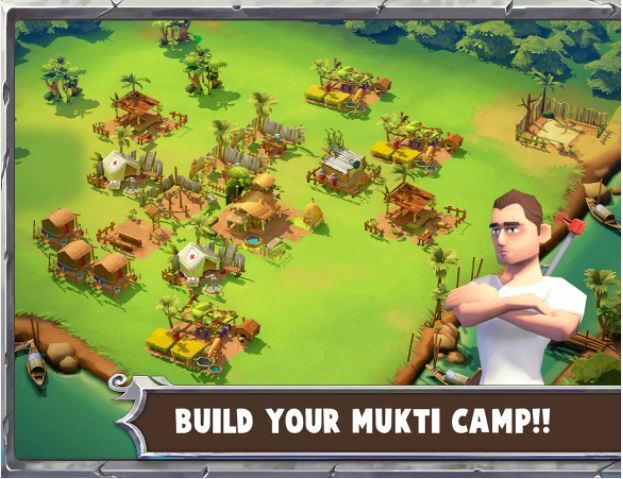 Liberate Bangladesh In The New Game "Mukti Camp"
Welcome to 1971 Bangladesh. The country is ravaged with war. Heavily trained Pakistani forces are bombing and shooting down innocent Bangladeshis left and right while the Bangladeshi freedom fighters fight with all their passion and patriotism. They need your help in order to liberate the country from the cold hands of the Pakistanis. This is where Mindfisher Games Inc comes in. After the hit game “Heroes of 71”, Mindfisher Games are at it again, with a sequel based again on the 1971 liberation war. In this game, you have to participate in the war in a heroic journey through the nine months that the war spanned. Be part of the story as you lead 30 valiant soldiers through 20 battles inspired from historic events. “Mukti Camp” literally translates to “Guerilla Hideout”. So it’s no surprise that you lead your guerilla warriors on the way of building an infallible fortress. Train them and ultimately lead them out to war, claiming glory in the process. The game is set in the lush countryside of the then East pakistan, aka, Bangladesh. As soon as you press play, you begin with just your headquarters in an effort to unlock all other 14 types of buildings. You gradually build your base up. Farms get you food, sawmills get you wood and storage facilities store your food for times when they are needed. Scout centres will help you to recruit soldiers. Put them into houses to stay in, admit them to hospitals to treat them, and place them into training centres to train them. Get your troops prepared for war. A communication centre allows your soldiers to keep in touch with their families and other defence structures keeps your camp safe from enemy hands. Agility, Strength, Precision and Intelligence – these are the four traits of your soldiers you can train and improve in different training grounds. Relevant tasks will also assist in developing skills. There are also several upgradeable tools you can equip your men with. For example a saw, so that if they are responsible for chopping wood, it will help them do that. Tools aren’t the only thing you can hand them. Of course this being a war game, weapons are a must. Based on the skill set of your soldier, you can equip them with upgradeable weapons like a rifle or a machine gun. The game is now out in the Google Play Store and you can download it by clicking this link here. Be part of history as you lead your men to battle and do your part in gaining independence! Araf Noor is technically a student studying Computer Science Engineering. However, he spends his time occupied with football, strumming away at his ukulele and hogging the PS4. Hit him up on Facebook!